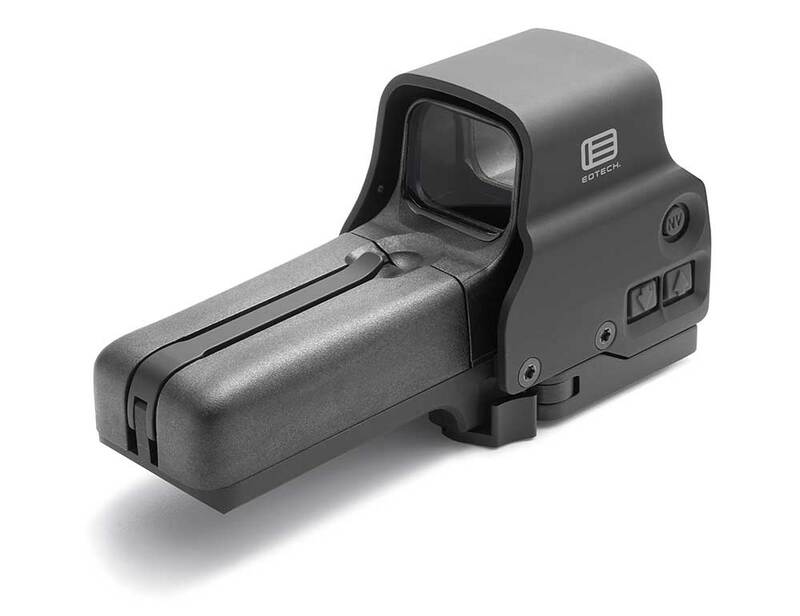 EOTech, the division of L3 technologies, is among the world leaders for a red dots, or reflex weapons sights. The BlueSheepDog Crew has already finished an article on the EOTech 518, and now it’s time to look at the new EOTech 558, night vision compatible holographic weapon sight. The EOTech 558 may be seen as mission specific upgrade to the comparable model 518. Virtually identical in size, shape, and function, the EOTech 558 adds the night vision capability, along with more durable water resistance of the sight body. Both sights use AA-type batteries and offer a popular QD release lever. The EOTech Model M914 is just one-night vision option available for use with the 558. EOTech M914 is just one-night vision version, available for use with 558. The EOTech 558 is suitable for all Generation I – III night vision devices. With lots of evil that unfolds in the hours of darkness, law enforcement officers need the best characteristics of their weapon sites to be capable of more properly and safely engage hostile threats. Although night vision optics are very expensive, the addition of at least a few to the Patrol unit and SWAT Team should be seriously considered by medium and large-sized police departments. The 558 mount uses a QD lever that’s both adjustable and lockable but still offers instant removal. The 558 was designed for fixing to standard M1913 Picatinny rails or Weaver mounts. The QD lever locks the view on the rail but rapidly detaches as well. EOTech 558 on the Optic Ready Rifle. EOTech 558 on the Optic Ready Rifle. Brightness control buttons are located on the side of the sight body for easy access with the off hand by right-handed shooters. They’re adequately sizable to manipulate with gloved hands as well. Turning the EOTech 558 on simply requires the shooter to start pressing the up, arrow button at the desired level, with the down, arrow button for adjustments as lighting changes. To turn the 558 off the shooter presses both the up and down, arrow buttons at the same time as other EOTech sights. The EOTech 558 has daytime lighting settings and an extra night vision settings. The holographic sight was designed to stay at the full brightness level throughout the duration of the hour, and won’t fade as the batteries lose energy, instead abruptly turning off. The sight will momentarily blink when turning on as the 558 conducts battery check, but any continued blinking probably indicates the batteries are about to die. Side mounted brightness and NV controls make the 558 very accommodating to additional loupes or night vision optics. Side mounted brightness and NV controls make the 558 very accommodating with magnifiers or night vision optics. Their location also makes the 558 ideal for use with the EOTech switch side magnifiers. The circle of sight 65 MOA is fantastic for reflex shooting in Close Quarters engagements, and the MOA aiming point provides the ability of precision shots out to 300 yards. The optical surfaces of the 558 are treated with an anti-reflective coating which will block a target from seeing the holographic red dot or any night vision enhancement glare. DSC01991. The drop-in replacement Laser Battery Caps are also designed to work with this model as well, increasing aiming capabilities and speed to aim all night and day long if desired.